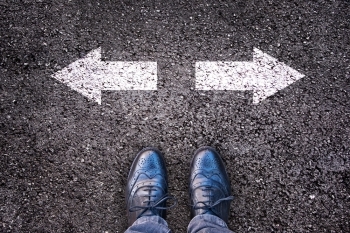 Looking For a Career Change: Is Entrepreneurship the Key to Starting Over? Small is beautiful when you're first starting a business. Later on, however, your goal becomes laser-focused on finding customers and making sales, and at that point, small business development falls off your radar. But many small businesses fall victim to their own success. With the right marketing plan in place your phone will start ringing and often before you know it it could be ringing off the hook. Seems like a great problem, but if there's no growth strategy in place, you either have to juggle everything yourself and risk burnout or hire people quickly and sacrifice quality and your bottom line. How do you adapt and grow without losing track of what made you successful in the first place? Small business development starts with solid planning. 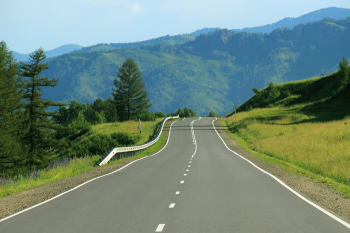 Here's how to create a strong road map for profitable growth and success. What would you like your business to look like across these time frames? What goals do you wish to achieve: more customers, more sales revenue, more employees, or some combination? How will you achieve those goals: expanding geographical reach, extending your product line, offering valuable add-ons such as service warranties, or streamlining your processes through new technology? When you have mapped your ideal future, spend a few hours updating your business plan with these new goals and objectives. This is essential if you need financing and is a good way to track your progress. The ability to move quickly. Little market presence or reputation. Vulnerability to illness and vacations. Not yet an expert across all aspects of the business. Growing a business takes money. Depending on your goals, you may need to buy inventory, hire staff, or increase marketing efforts while maintaining enough revenue to meet current obligations. Lines of credit are one option, but traditional lenders may be reluctant to provide financing unless you have a strong asset sheet and healthy cash-flow projections. If you do seek a loan, remember you may have to provide collateral your house, for example and it may take 12 weeks or more from the time of application to the actual funding. The U.S. Small Business Administration gives good loan advice to small businesses and offers competitive microloans for those wishing to borrow less than $50,000. If you're not going the loan route, just try to make better choices with the same budget. By managing your payment terms and keeping tight control of overdue debts, you may be able to free up some working capital. The point is to keep track of everything and manage your growth by the numbers. Figure out how much money you need to grow your business, and do not implement a strategy without the required cash on hand. The skills you need to start a business are not always the same as the skills you need to grow it. Chances are, you'll need training to learn new skills or a mentor to verify what you're doing and hold you accountable for reaching your goals. Great mentors are found in a variety of places. Try reaching out to community groups, such as business chambers of commerce, and explore your own network of friends, business contacts, and former employers. Think about joining up with complementary businesses in the same industry. A home inspection franchise, for example, could target real estate agents and mortgage brokers as a great way of referring business. For many successful small business owners, one of the hardest challenges is taking and using the right advice. But surrounding yourself with people who know more than you do is essential if you're going to make the most of growth opportunities while still safeguarding the work-life balance you dreamed of when you first started up on your own. Find out more about a career opportunity with HouseMaster Home Inspections - sign up for our weekly webinar today!